The history of essential oils is an interesting one... and it goes way back in time. Like gold, essential oils have been around for thousands of years. And like gold, essential oils experience occasions when they draw little interest and are virtually unknown. But, as with the yellow metal, attention given to essential oils surges when people are looking for reliability and value. The ancient Egyptians were known to use oils, herbs, and aromatic plants for health purposes. A scroll dating back to 1500 B.C. reveals hundreds of health recipes using oils. And when King Tut's tomb was opened in 1922, 50 alabaster jars for holding aromatic oils were discovered. But the valued oils were no longer present because they were stolen by robbers... who left the gold of the tomb behind. The Bible presents hundreds of references to aromatics. For example, the Old Testament speaks of the temple and how it was prepared with aromatic oils. And in the New Testament we learn that the Christ child was given frankincense and myrrh as gifts... and later in His ministry was anointed with very costly spikenard. The scriptures contain a rich history involving biblical oils. This history not only enriches one's faith but also one's confidence in essential oils. Much later, the Arabian physician Avicenna improved the distillation process for essential oils and used them extensively. The Greeks and Romans were also known to use essential oils. 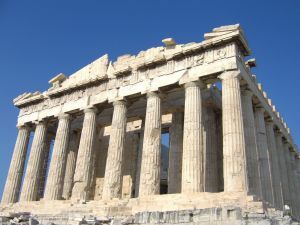 It is believed that Hippocrates, the “Father of Medicine,” was known to use aromatics in Athens. And the ancient Greek Physician, Dioscorides, wrote a book describing methods still used by aromatherapists today. The Romans used to diffuse essential oils in public buildings and in their steam baths to maintain good health. Interestingly, a number of notable historical figures are also known to have had a fondness for essential oils. Queen Hatshepsut, Alexander the Great, and Napolean all sought to obtain and use essential oils. Essential oils were also used by early American colonists. For many years there appeared to be little interest in essential oils. But things of value have a way of coming back. And for this reason the history of essential oils continues. Essential oils marks their modern comeback in France in the early 1900s through the early discoveries of Dr. Rene-Maurice Gattefosse. Shortly thereafter, essential oils began to be used during World War I. 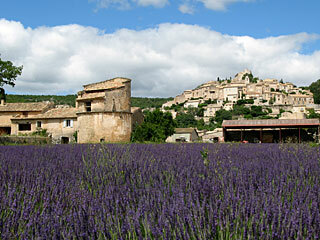 And another French doctor, Jean Valnet, used essential oils on the battlefield in World War II. In the middle 1980s research began that led to the recovery of essential oils in the United States. Today, the role that essential oils may play in supporting wellness is being studied at a growing rate. This trend confirms that those things of value are sure to attract attention... even after being ignored for a long time. It's true for gold, and it's true for essential oils.